RUBI ---> This stock made today a very nice trade session, with shares rising more than 9% on heavy bullish volume. Extremely oversold, it can see now its technicals indicators showing strong positive divergences, particularly on its MACD crossover which is giving a strong Buy Signal and its AC/DT indicator, which is showing an increase on Accumulation! RUBI is a Buy over $2.03 with initial target its 20 Moving Average! If successful, a break above it, should boost the price to higher prices!! Worth watching. BLPH ---> We have here a great Bullish chart! 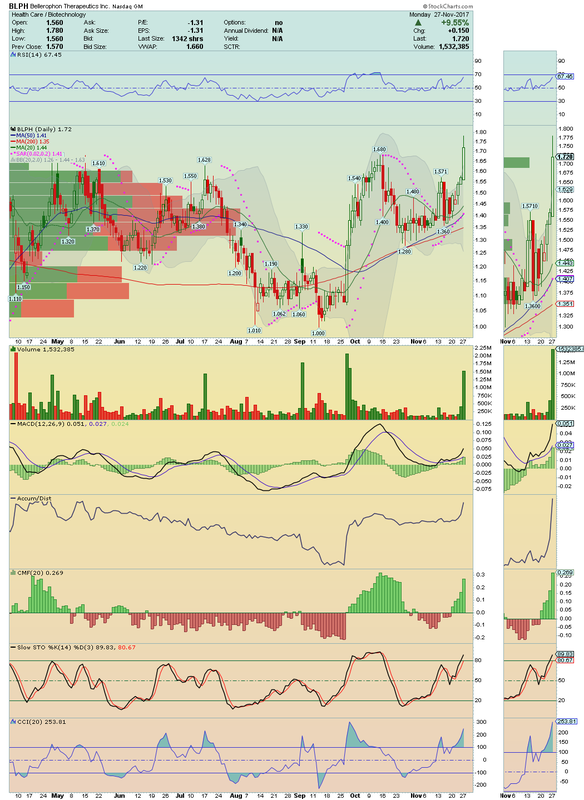 Shares rose more than 9.50% on heavy volume making a nice breakout. With chart showing a strong Accumulation, strong Buying Pressure and a very healthy Money Flow, its 30% of Short Players are in troubles. Trading above all major Moving Averages and above its Upper Bollinger Band Line, price have now clean room to run! 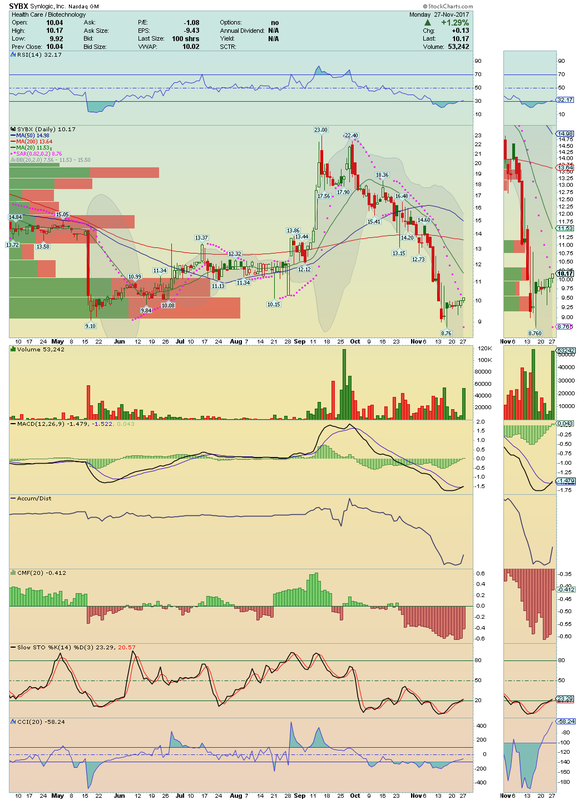 BLPH is a Buy over $1.78 with target $1.98 and $2.68 as next. ABUS ---> This stock surged today in my scanner with a nice Momentum. Chart is revealing an intense Buying Pressure which leads me to believe that a strong Breakout is on the verge!! 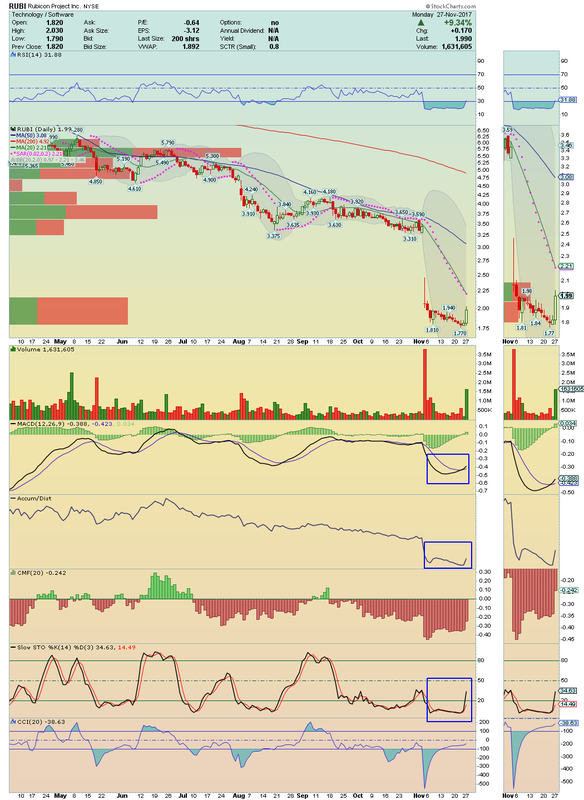 It is a Buy over $6.63 with target $7.80 and $8.25 as next. SYBX ---> It is a very nice Bottom Player with some interesting positive divergences on chart and also, it is a very Low Float Stock. It could be on the verge of a strong Bounce. It is a Buy over $10.17 with target its 20 Moving Average and $12.50 as next. 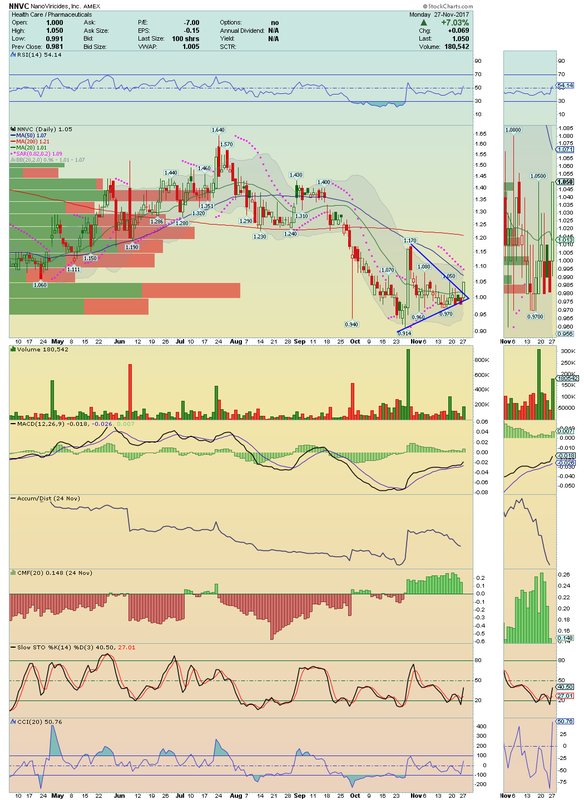 NNVC---> Price broke out of its Triangle pattern with strong volume, going to close at High of the Day! This Gapper Candidate could have legs to run now. 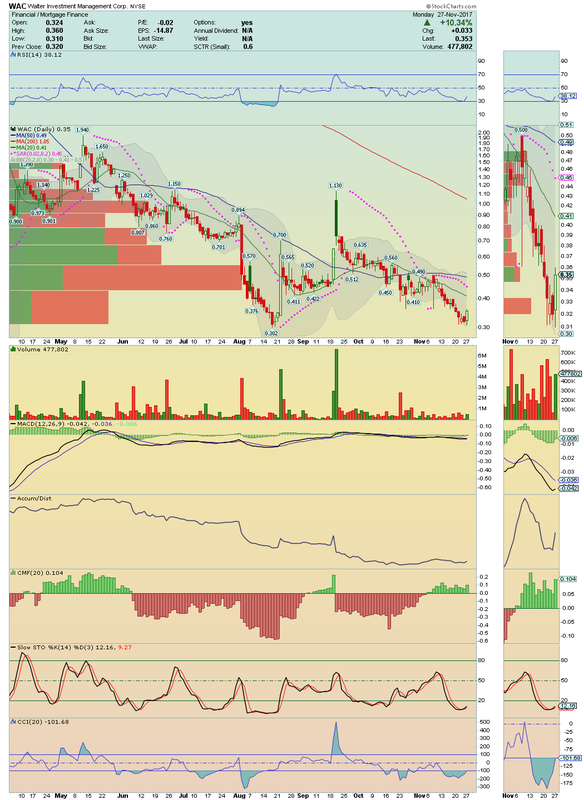 It is a Buy over $1.08 with target $1.17 and $1.21 as next. EGLT ---> Following my last Blog Post, i maintain my targets on $1.35 and $1.57 as next. HEB ---> Shares of HEB rose more than 6% on strong volume, crossing up its 20 and 50 Moving Averages and its Upper Bollinger Band Line. 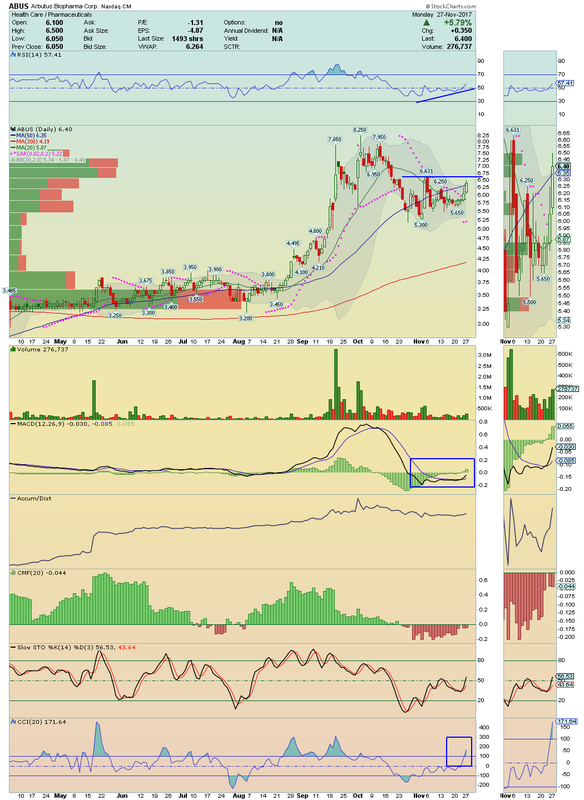 It is now in Breakout Mode and its technical indicators are suggesting continuation! It is a Buy over $0.368 with target $0.41 and $0.45 as next. ONP ---> Is gaining Momentum again!! 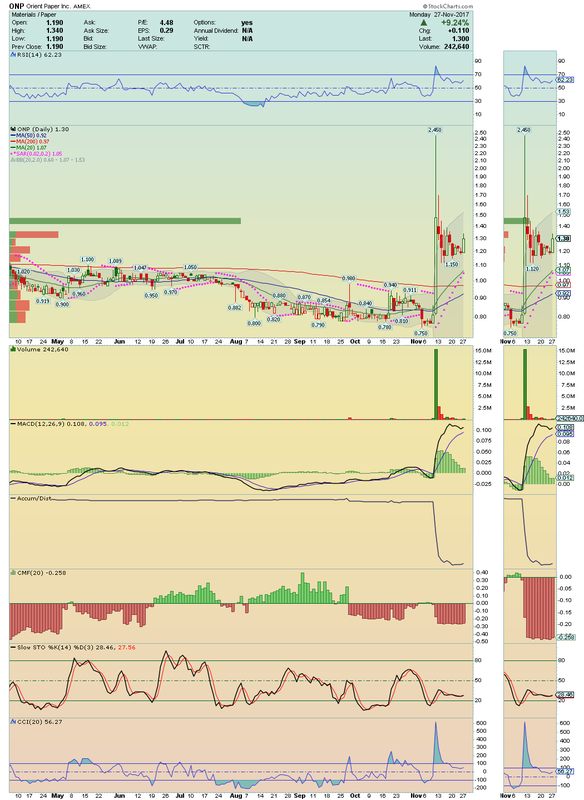 Could explode higher over $1.40. WAC ---> Potential Bounce Player! With technical indicators starting to curling up, showing that buyers are coming in, i expect continuation with next target its 20 Moving Average. FCSC ---> Shares of FCSC rose more than 17% on heavy volume from its Bottom! It could be time for a big Bounce! 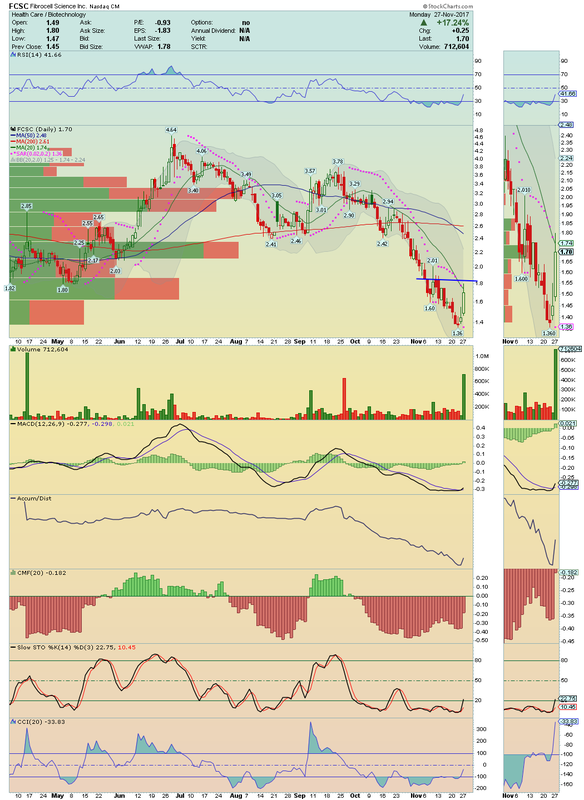 It is a Buy over $1.85 with target $2.07 and $2.25 as next. The stocks posted above are Low Float Stocks with some percentage of Short Float, which means that you should find high volatility. I recommend you to use Stop Loss! !